DIRECTIONS: From Nederland, head south on 119. Turn left (east) onto Magnolia Road and follow it for 3.7 miles. Turn left (north) on a small dirt road and drive around the corner to the Front Range Trailhead. 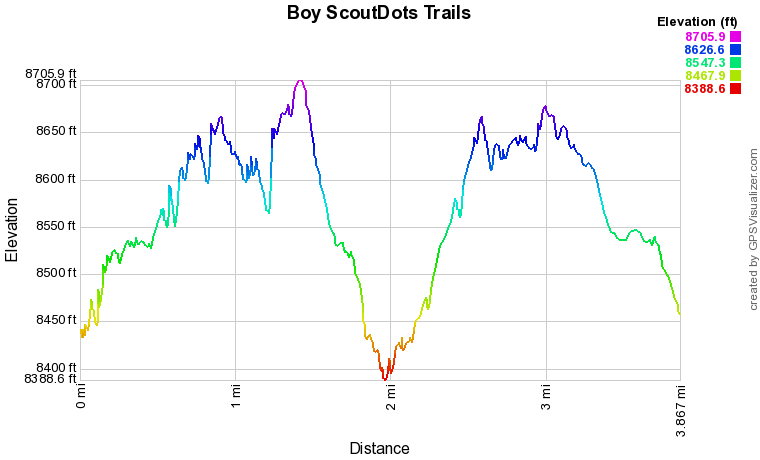 The "Boy Scout" or "Dots" Trail System is located east of the Peak-to-Peak Highway along Magnolia Road. 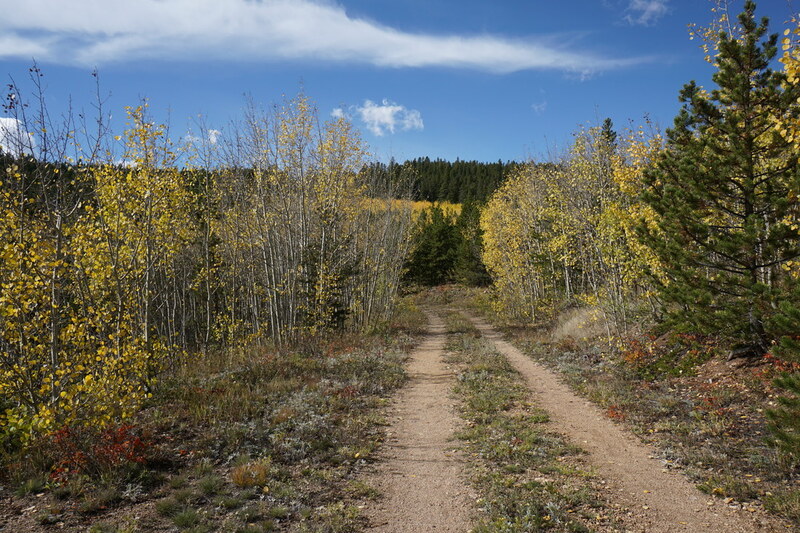 The trails have no signs (other than the USFS sign for the Front Range Trailhead) and there is very little information about this area to be found on-line. 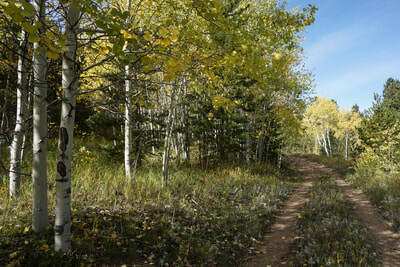 However, the trails are well established and form wonderful loops perfect for hiking and mountain biking. The area is next to (or is part of?) 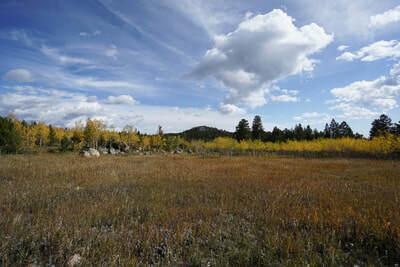 the Reynolds Ranch property owned by Boulder County Open Space, see the hike description here. 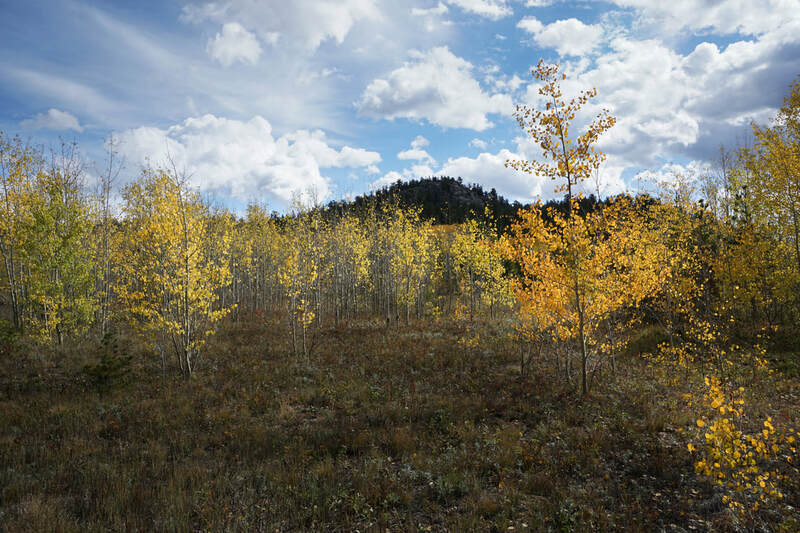 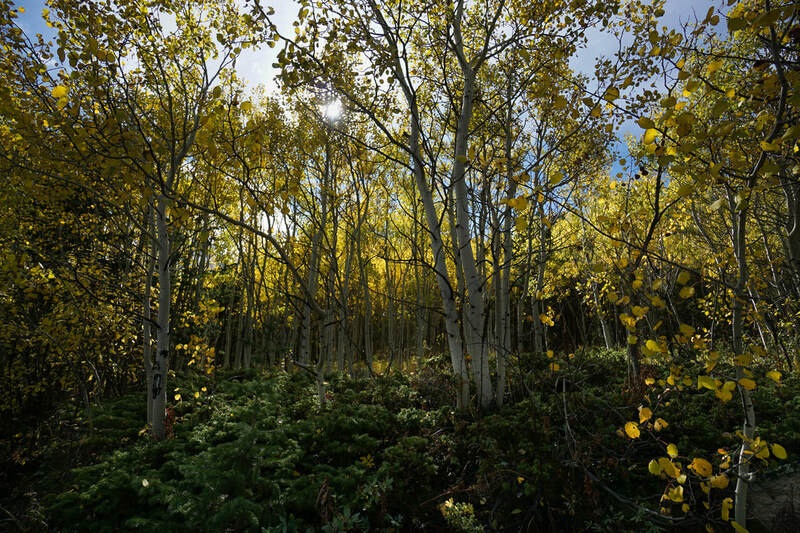 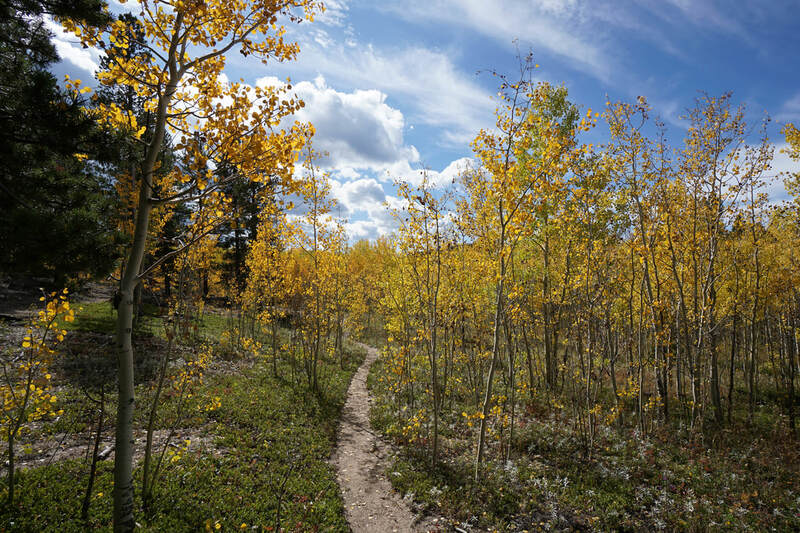 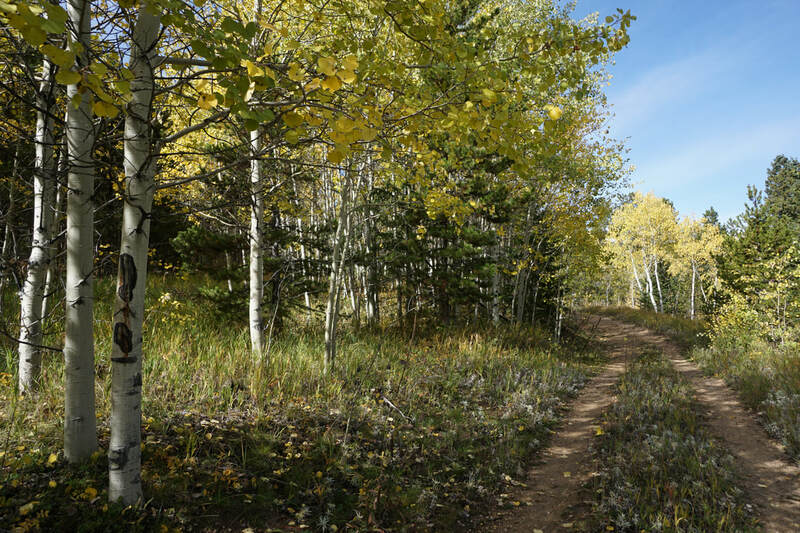 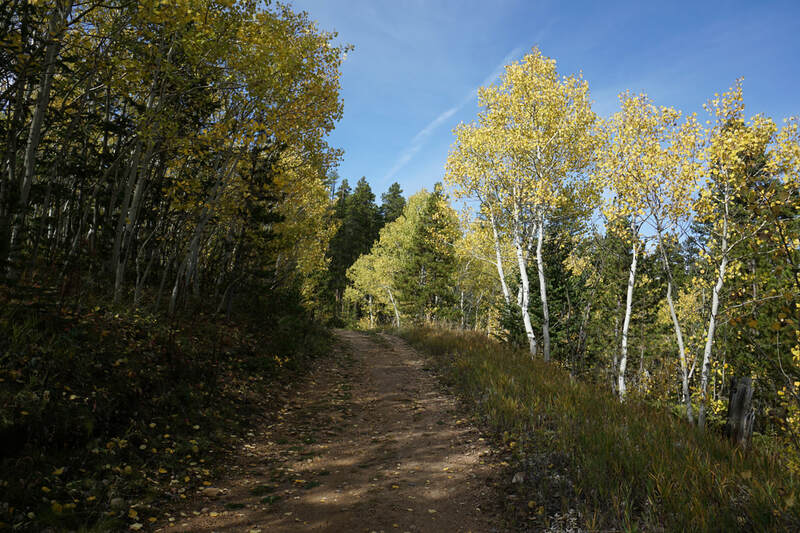 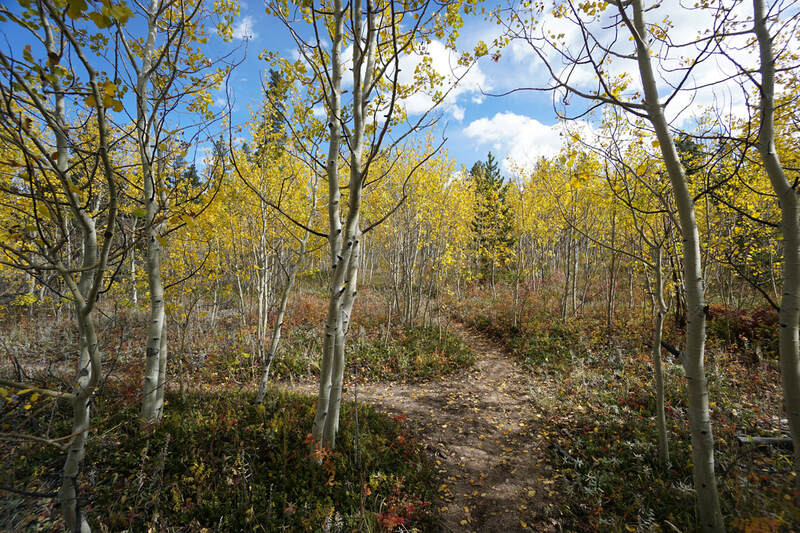 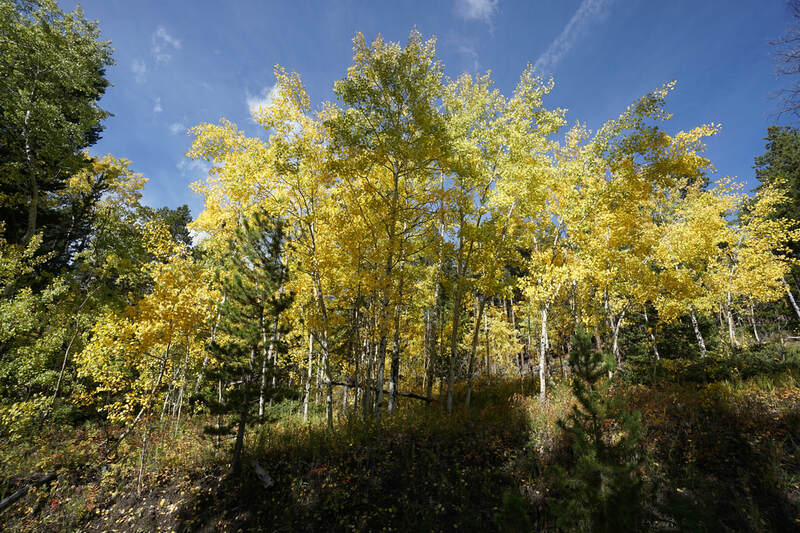 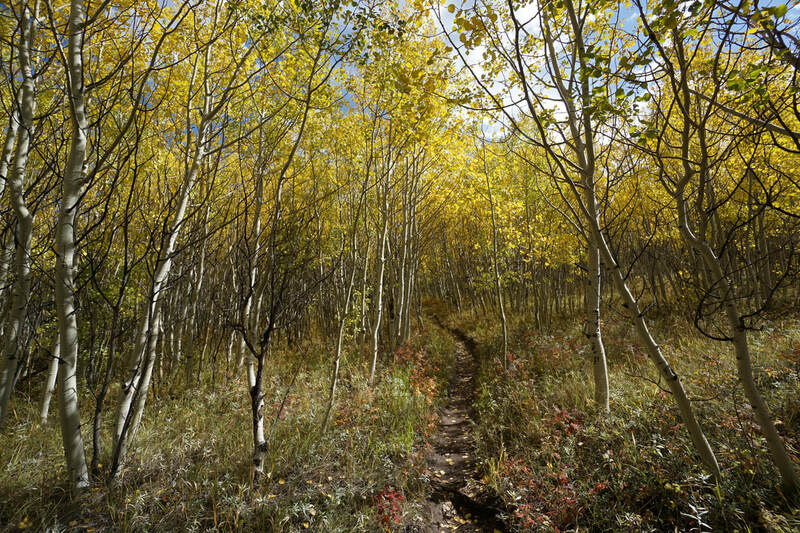 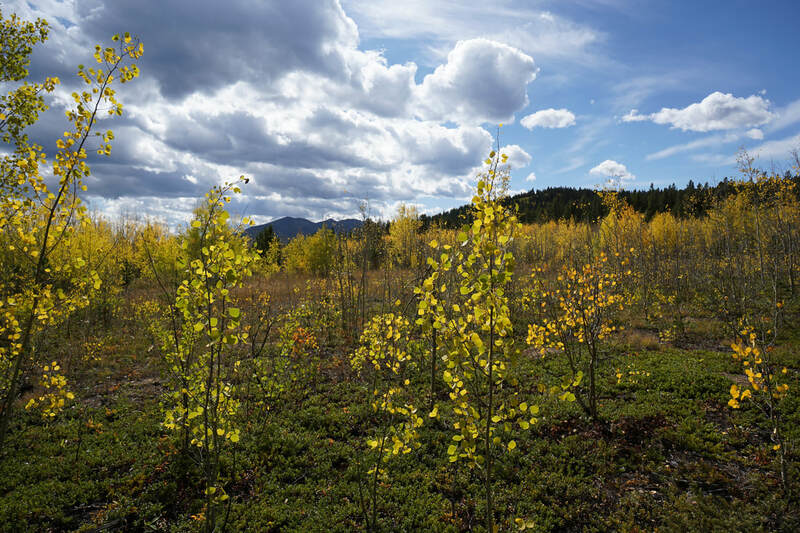 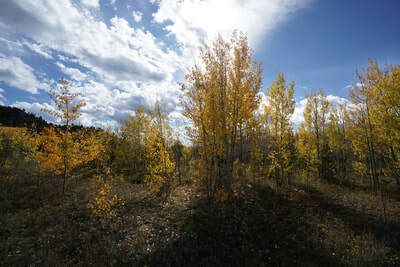 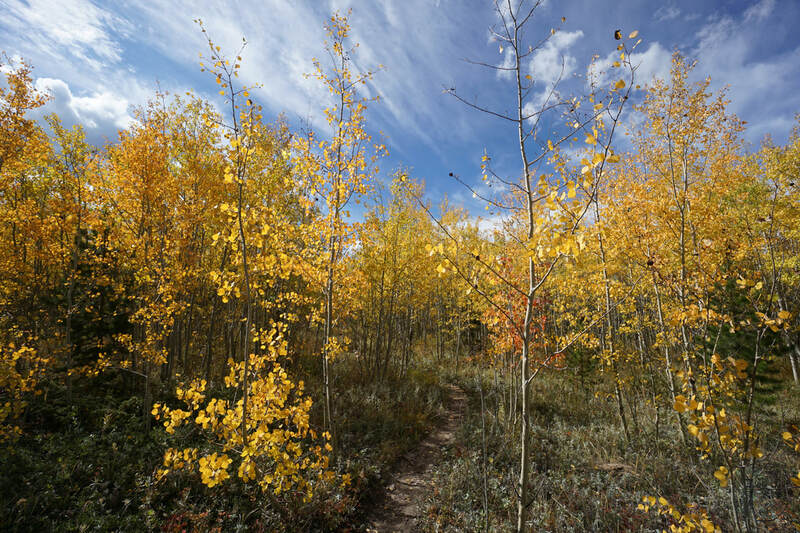 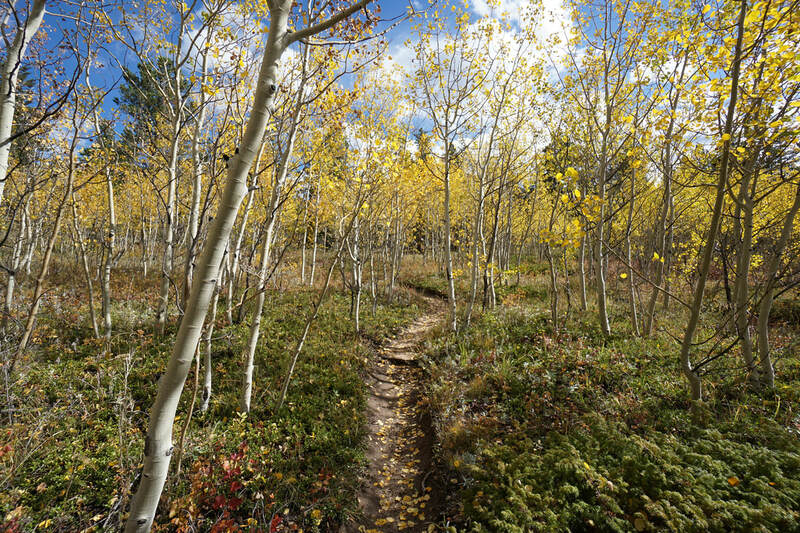 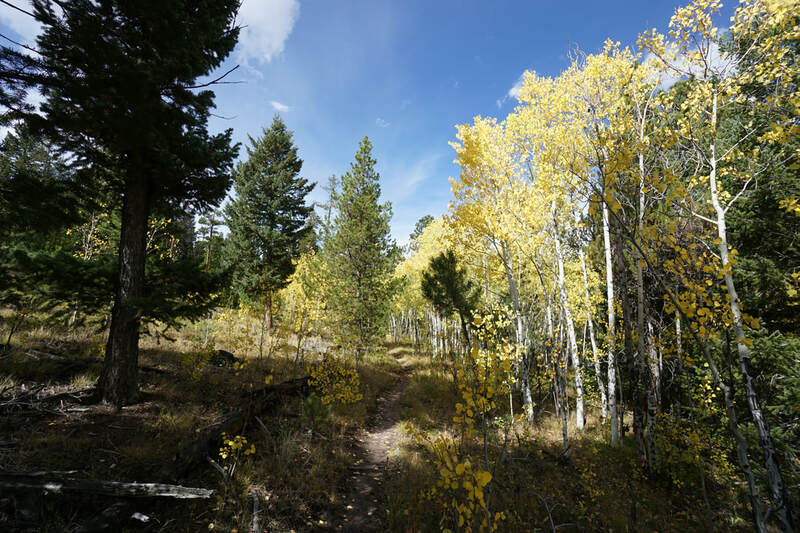 The route described here covers the easternmost section of the trails and is incredible in late September/early October as aspen trees are prevalent for much of the hike. 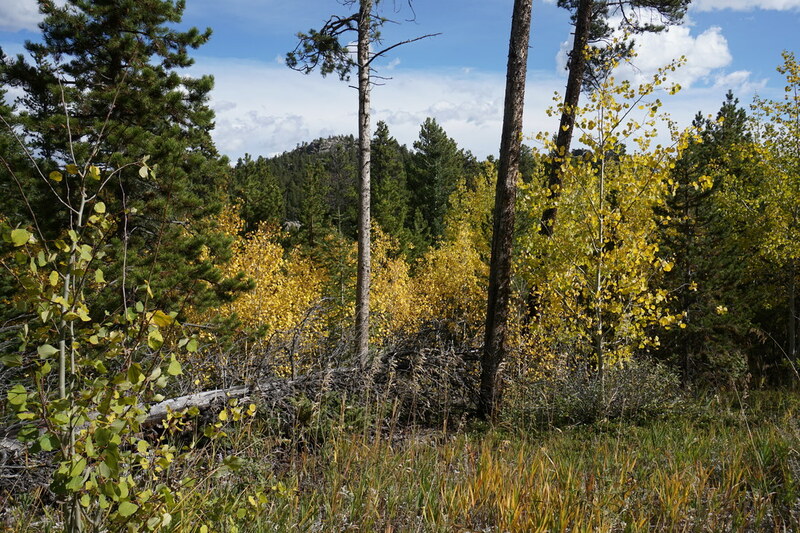 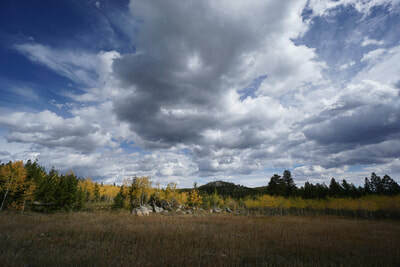 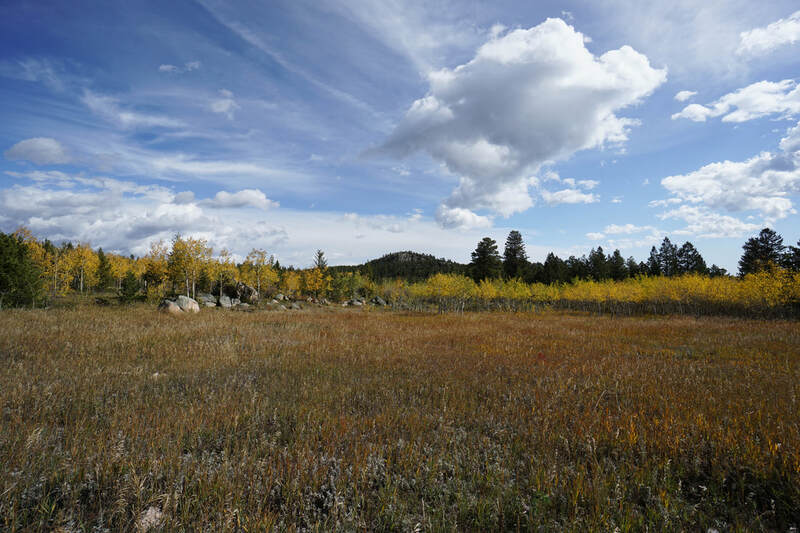 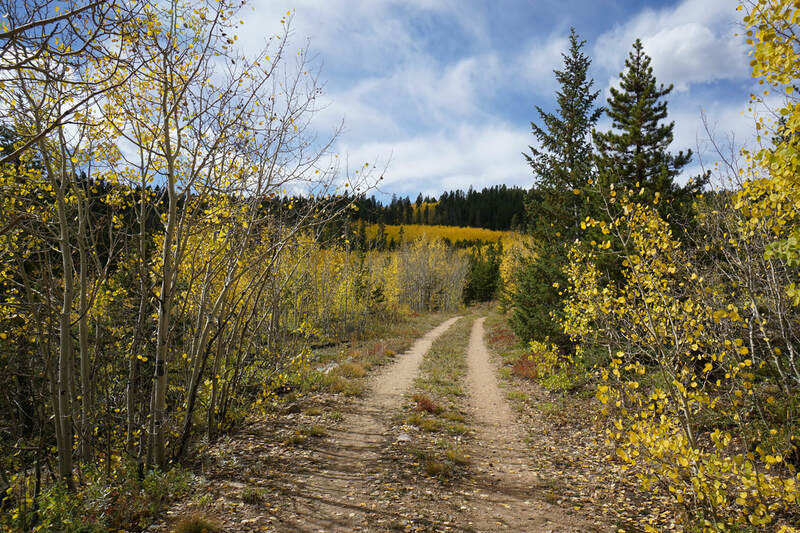 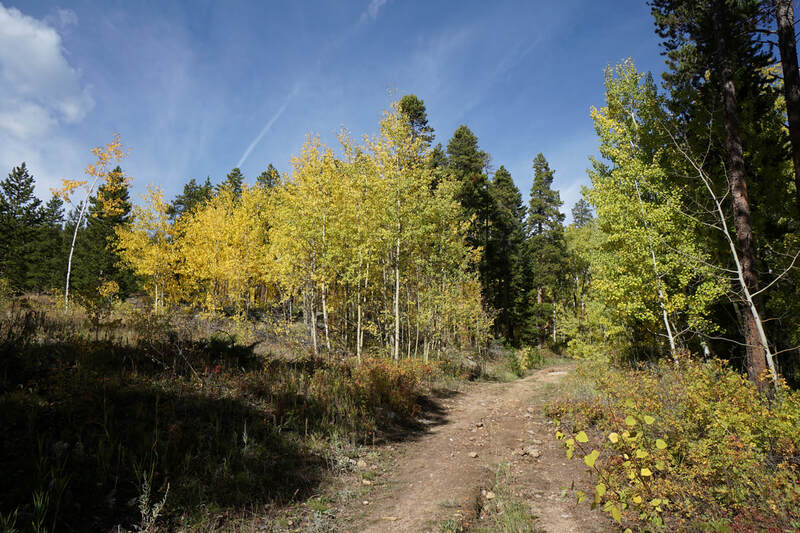 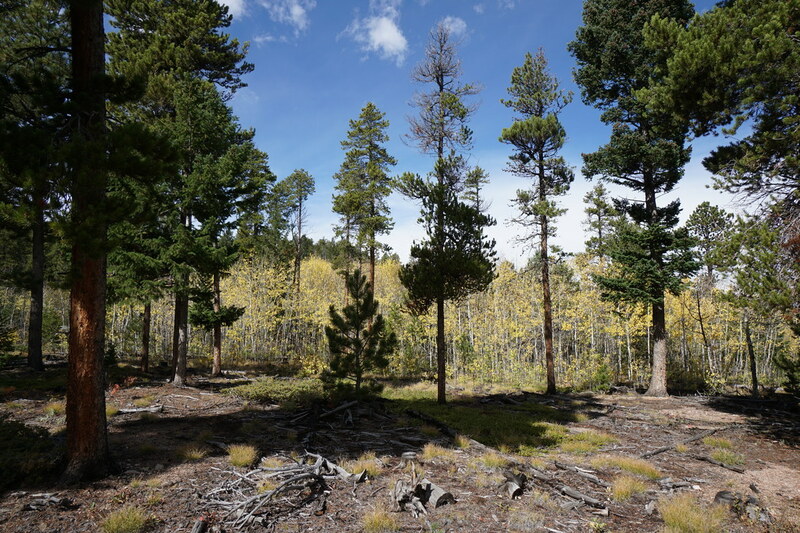 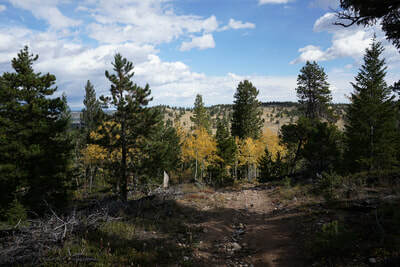 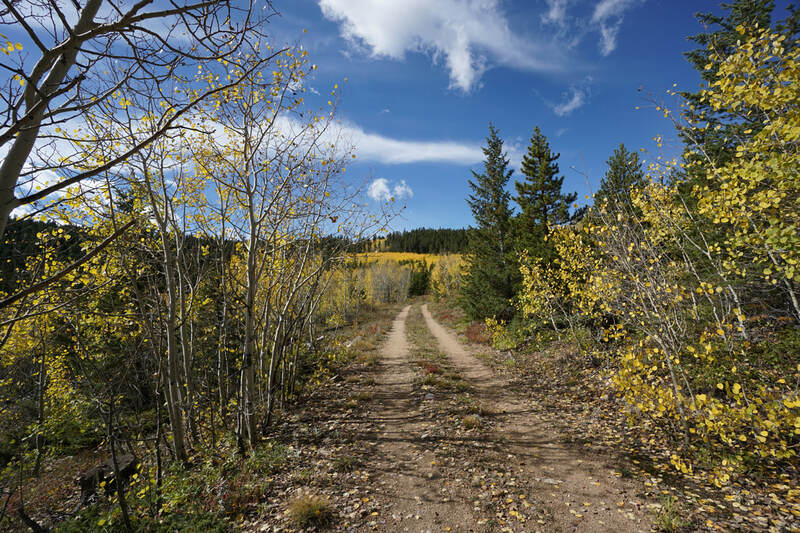 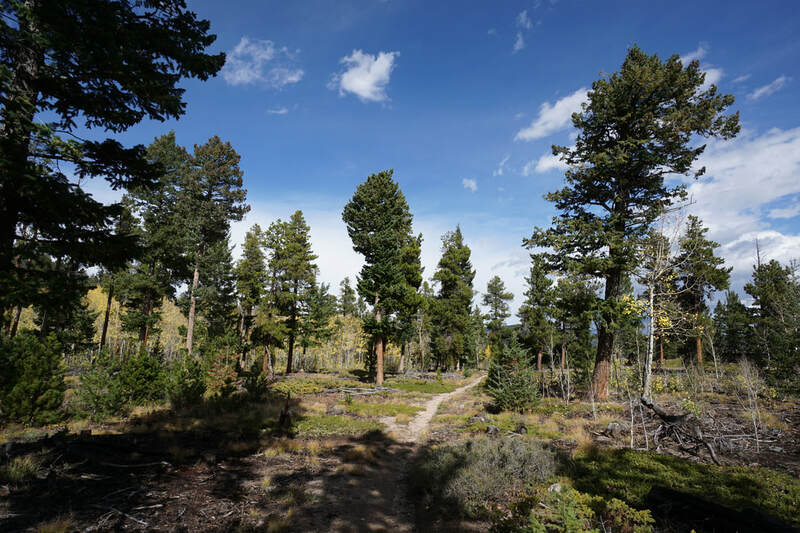 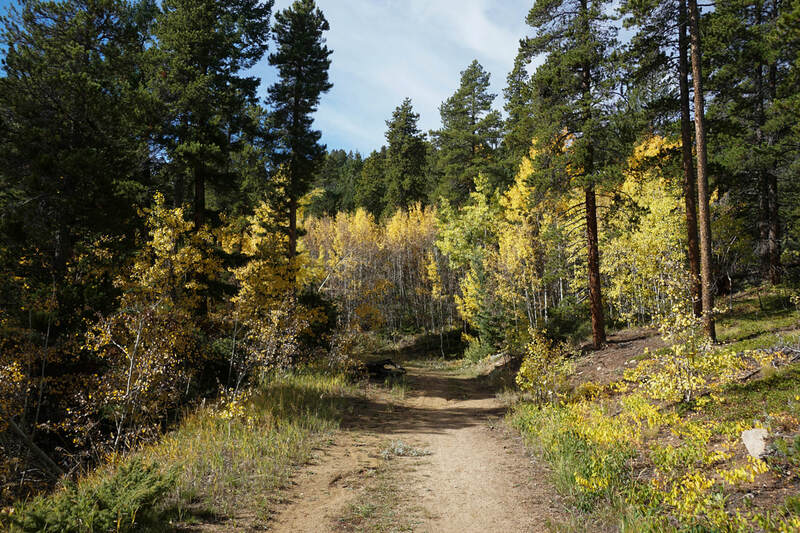 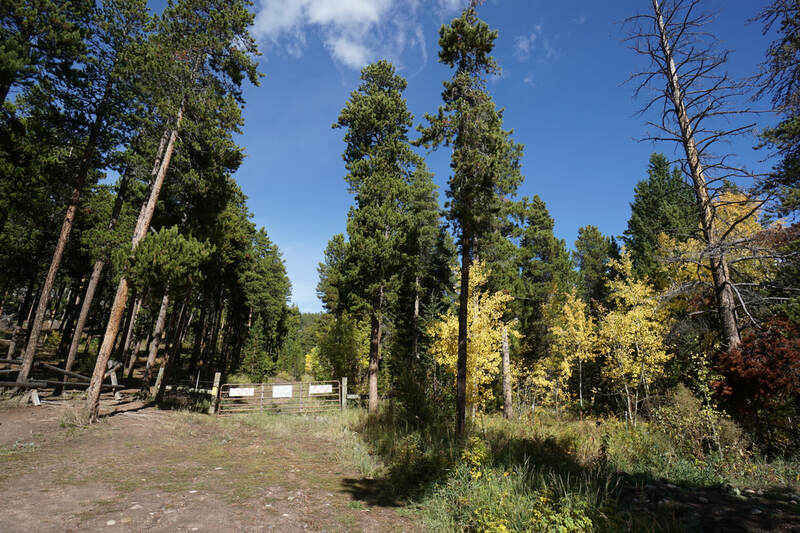 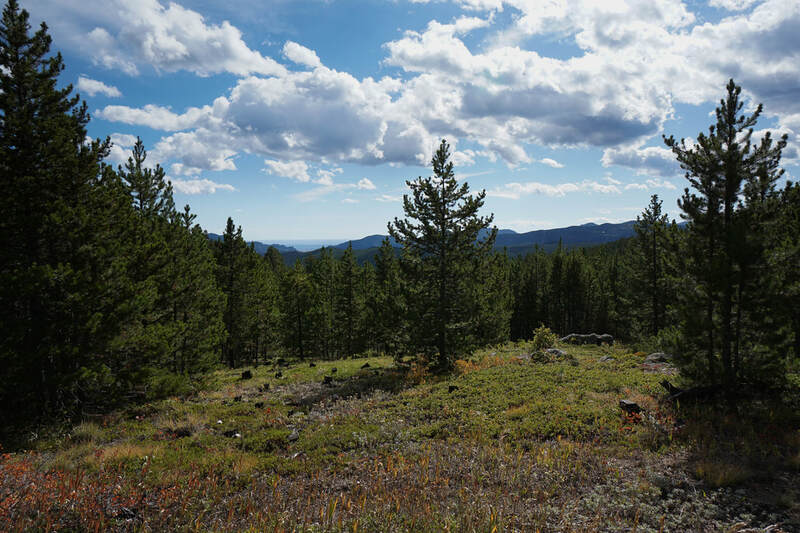 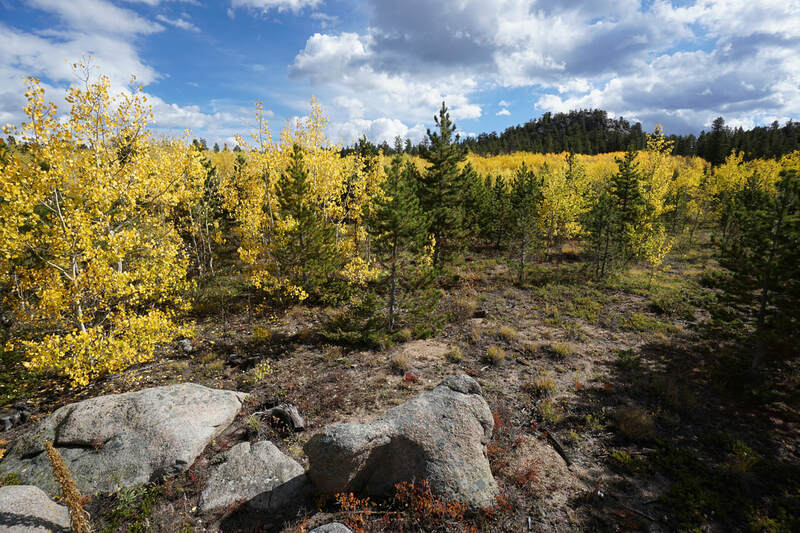 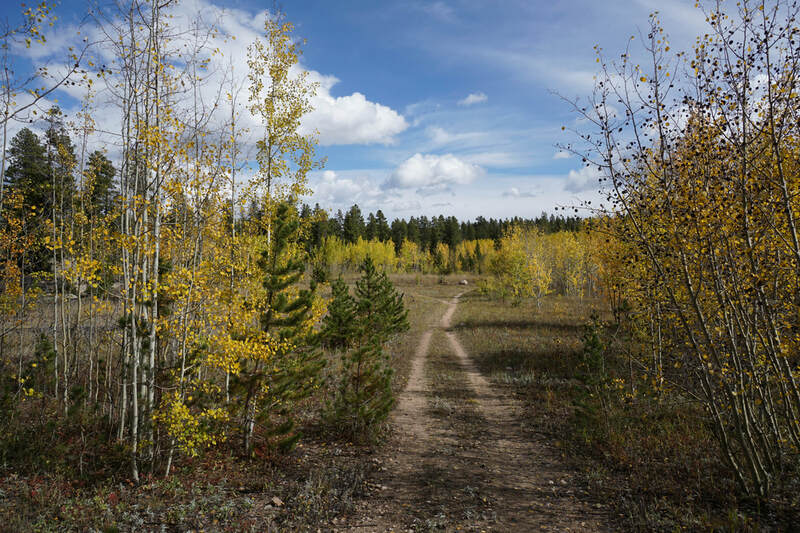 Because this is a little known trail system, it sees a small amount of use and is therefore a refuge from the swarms of leaf peepers that descend on Nederland and the Peak-to-Peak Hwy each fall. From the parking lot, head up the old dirt road. For the 1st mile or so, the road traverses pine forest with frequent aspen groves lining the road. 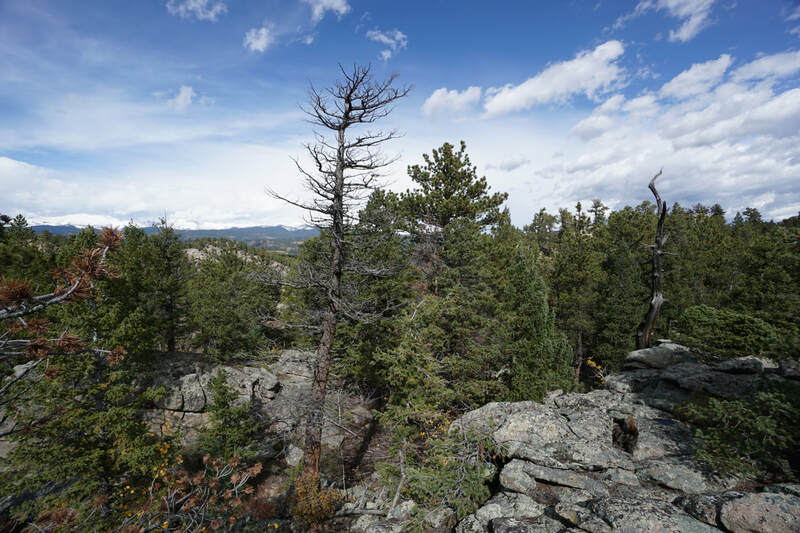 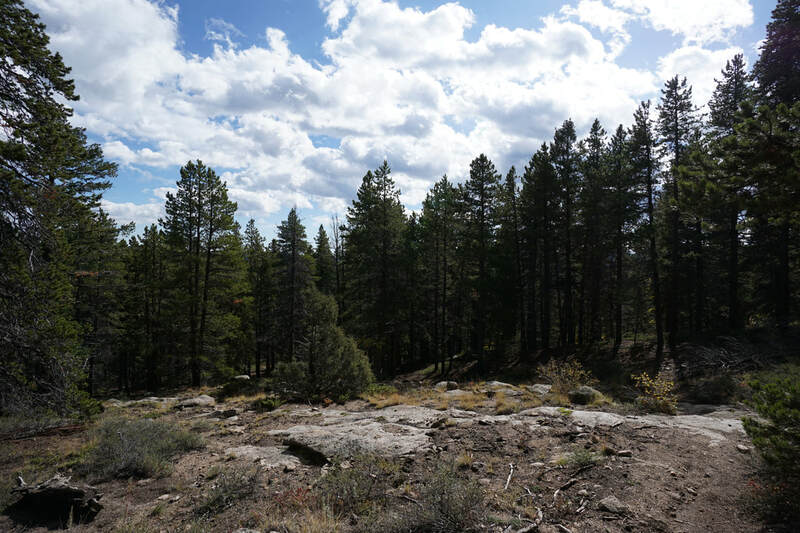 Every now and then a break in the trees will yield views of the rocky terrain surrounding the forest with a beautiful meadow and rock tower at about the 3/4 of a mile mark. 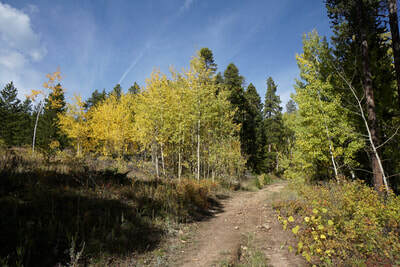 At the one mile mark you'll come to the first trail split and the start of the loop. 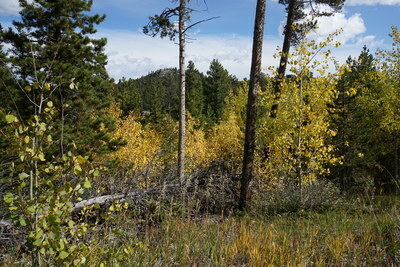 You can go either way but the most impressive fall colors are found to the right along the southern portion of the loop. 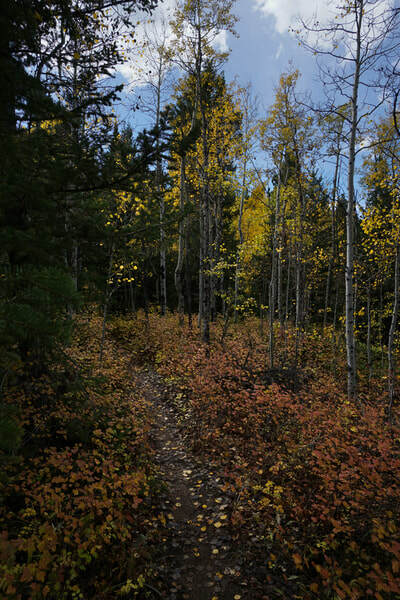 There are actually two loops here, one very small loop before the larger loop. 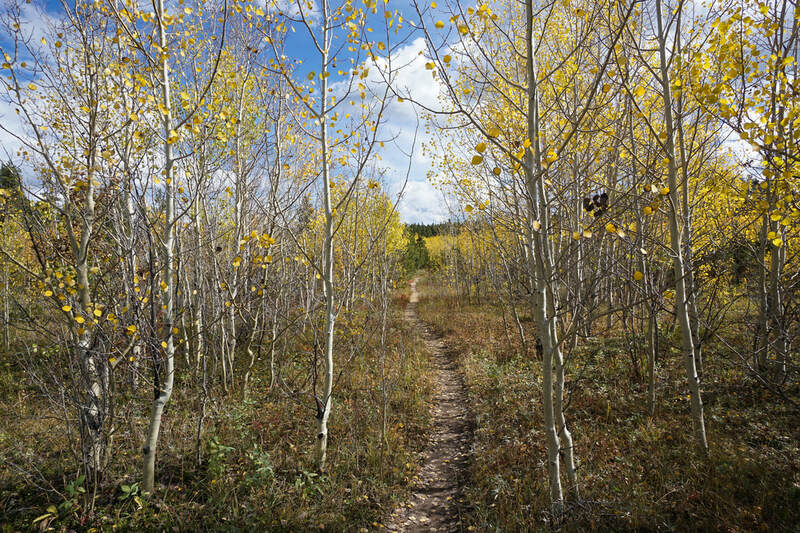 Stay to the right at the 3 trail splits and you'll follow the right route. 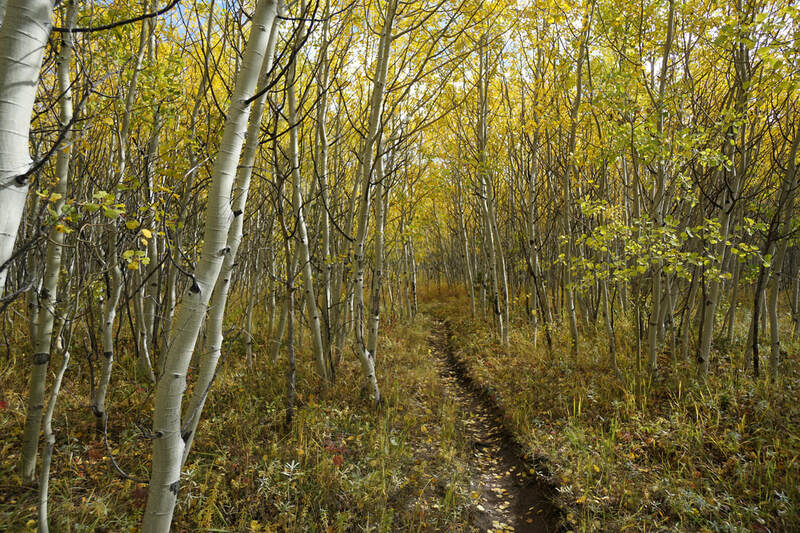 The most impressive portion of this trail is just after the first trail split when the trail enters a young and vibrant aspen forest. 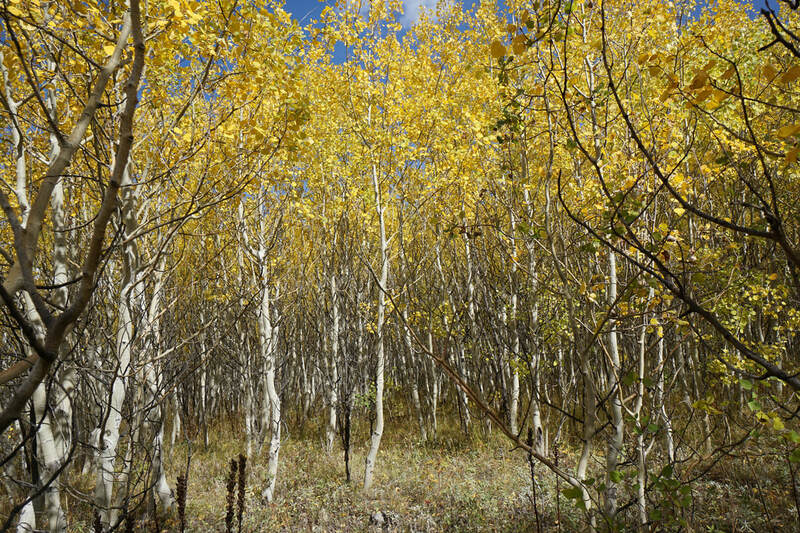 The sea of golden leaves is breathtaking. The narrow trail works its way through this grove before re-entering the pine forest. 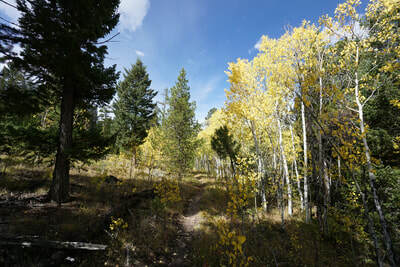 After the aspen grove, the trail ascends a hill and then steeply descends into think forest and then descends down towards a grassy meadow with nice views. Just before entering the meadow, the trail will split again. 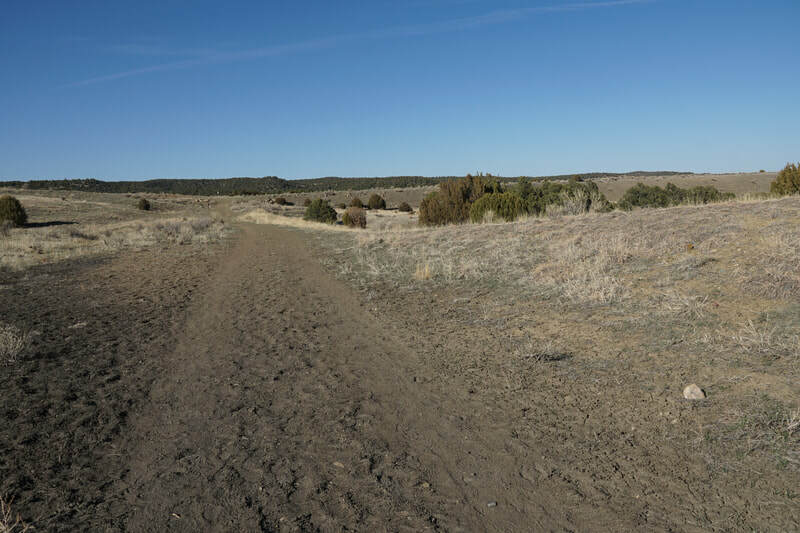 This is the eastern point of the loop. 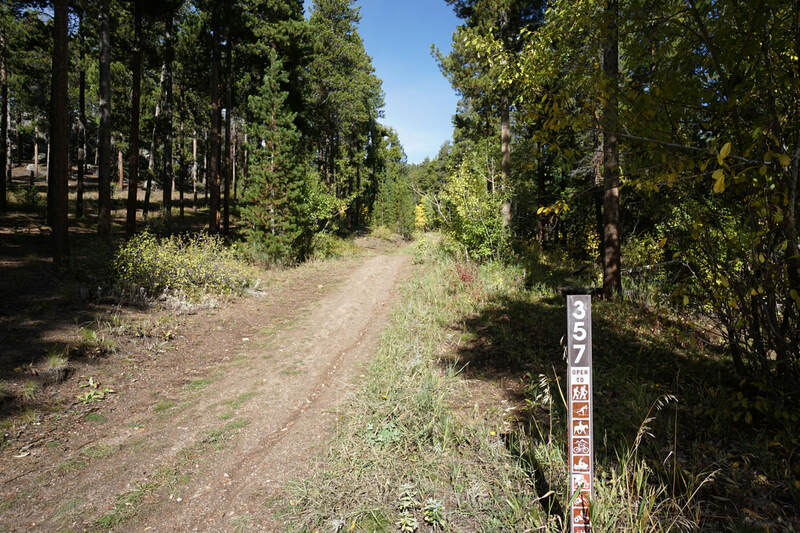 Going straight quickly leads you to "No Trespassing" signs. 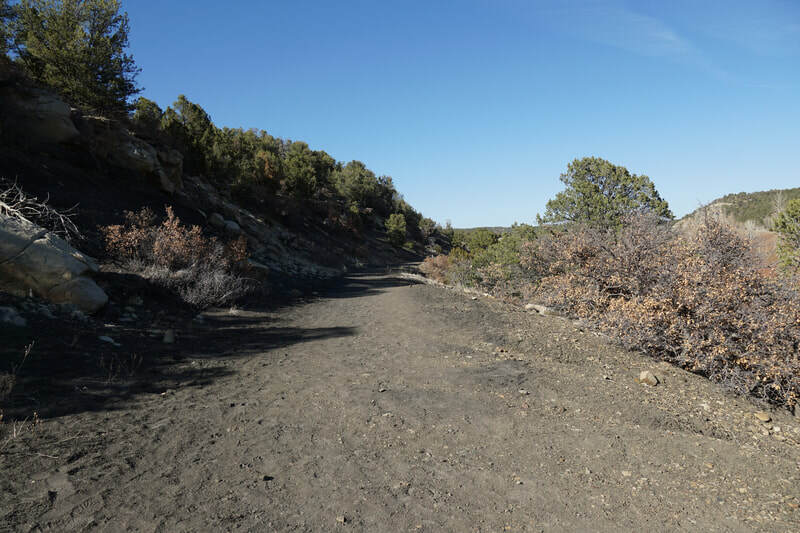 Follow the trail to the left and you'll start to re-gain elevation. 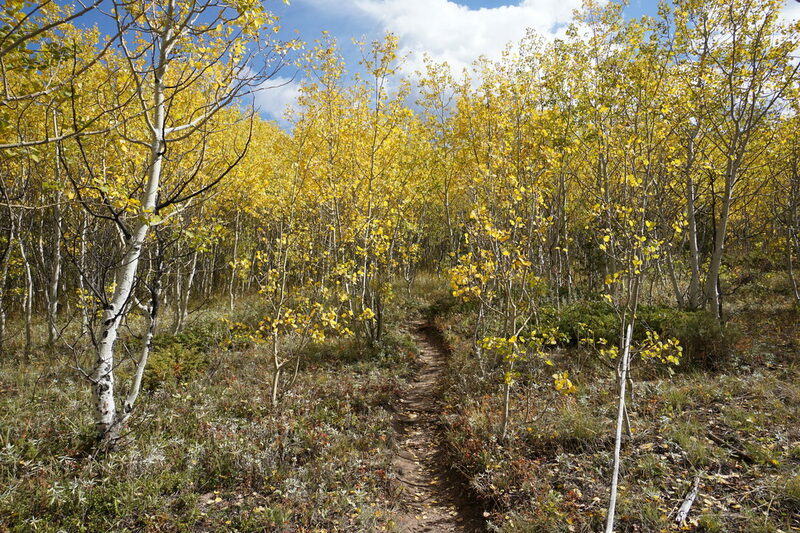 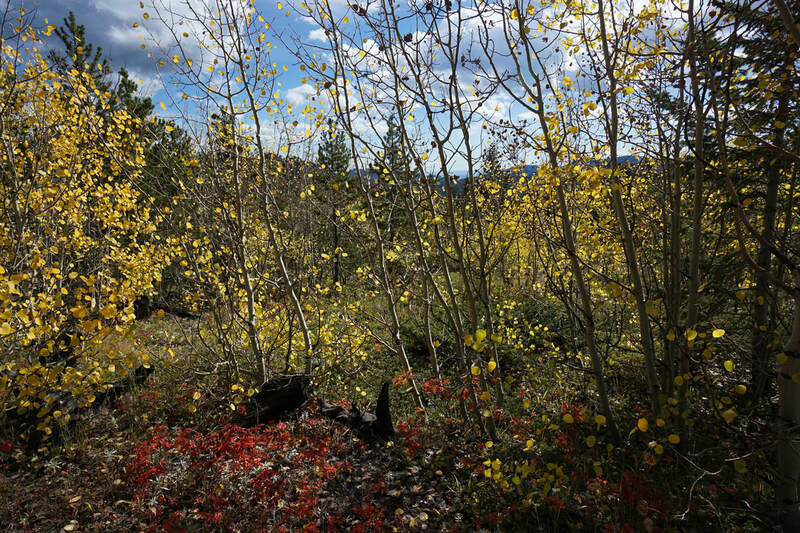 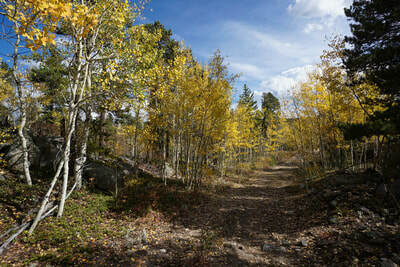 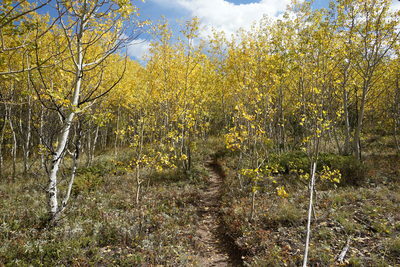 The aspens start to take over again as the trail gradually climbs. 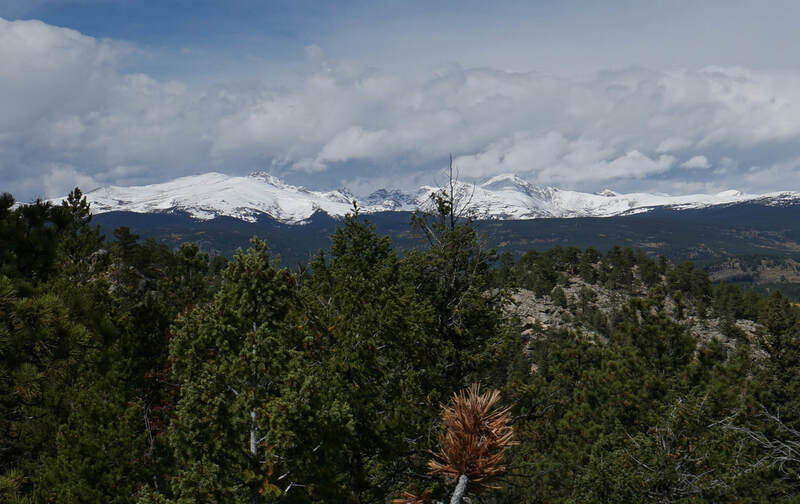 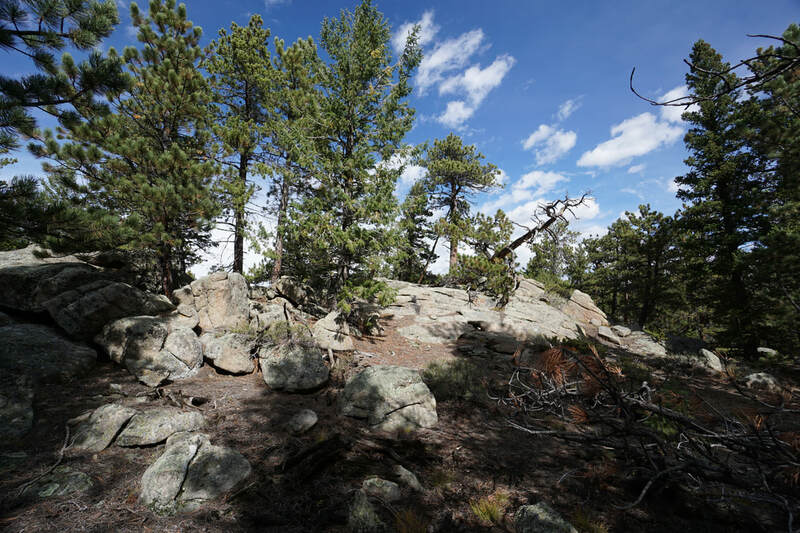 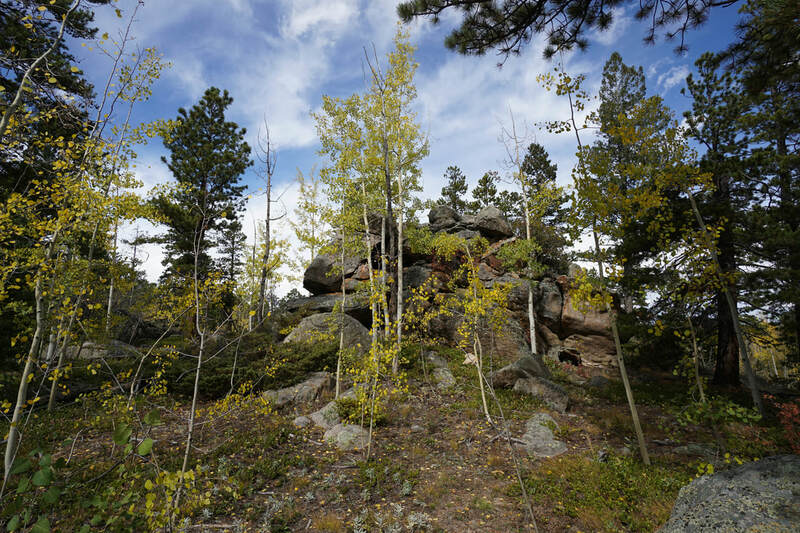 There are limited views along the trail, but there are many rocky outcroppings that you can easily scramble up to get some nice views of the Indian Peaks. 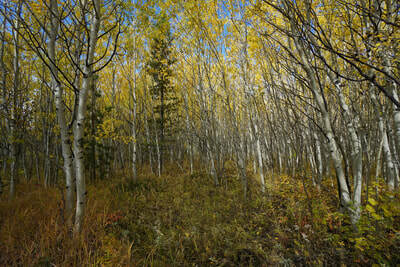 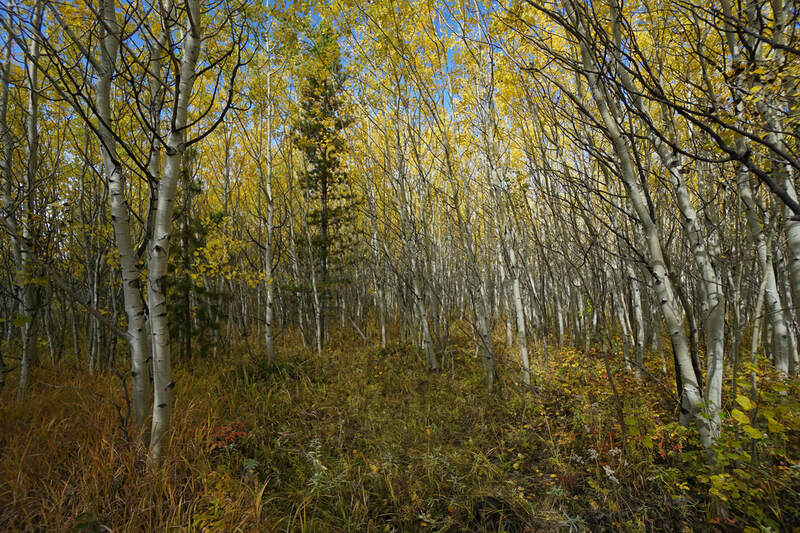 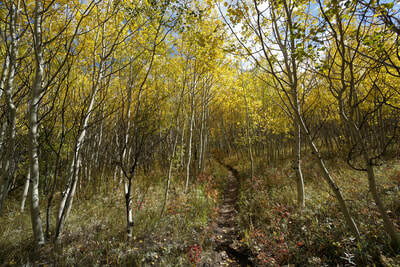 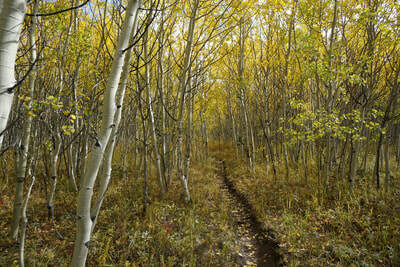 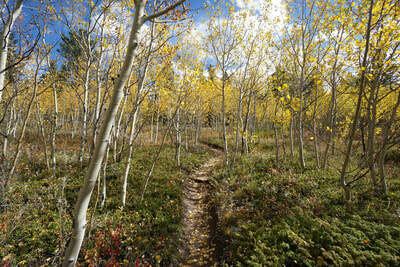 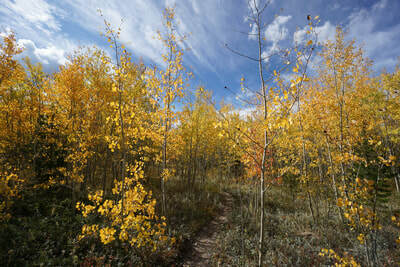 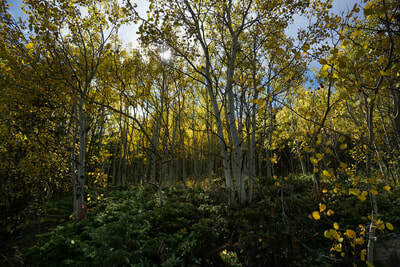 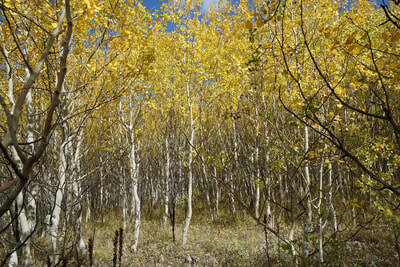 When the trail tops out, you'll return to the large aspen grove and start meandering back to the main trail. 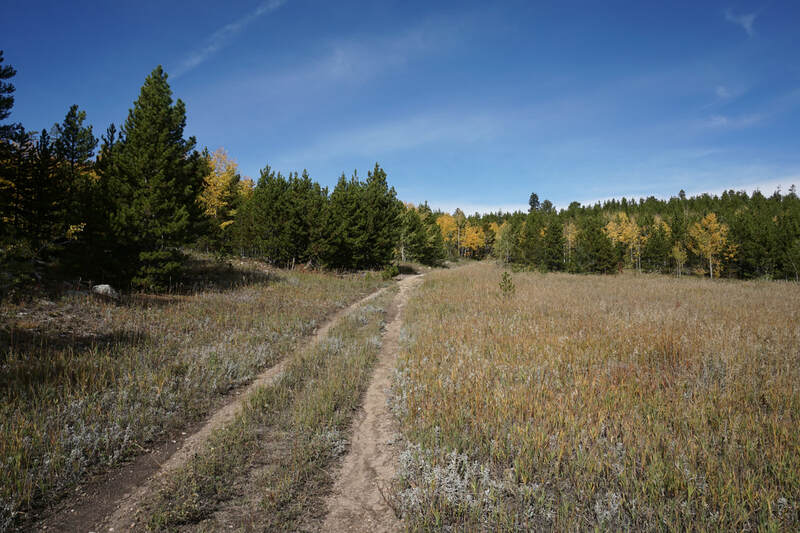 If you want to complete the smaller loop before the main loop, stay to the right, but be careful to stay to the left at the final trail split as the right fork takes you away from the main trail. 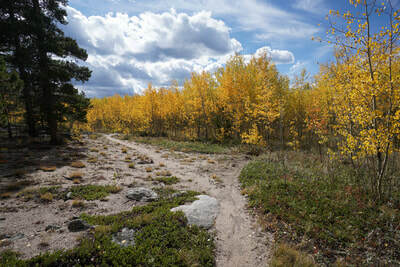 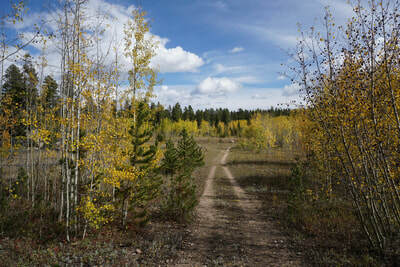 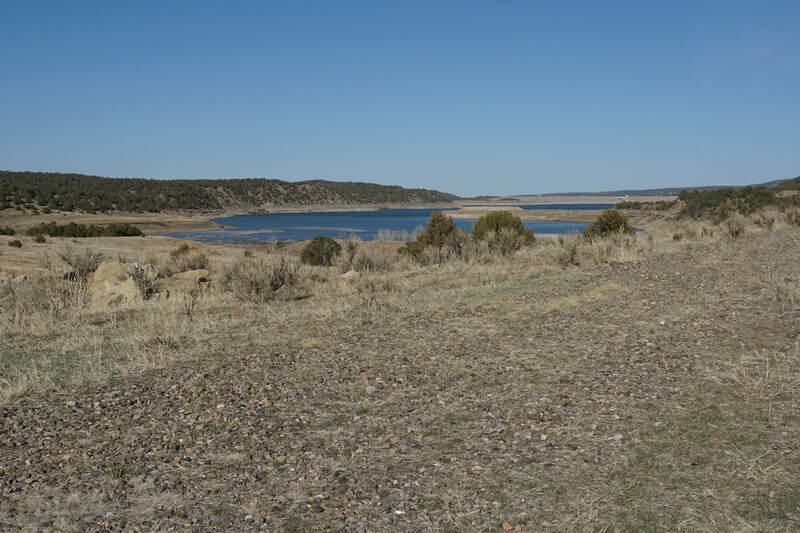 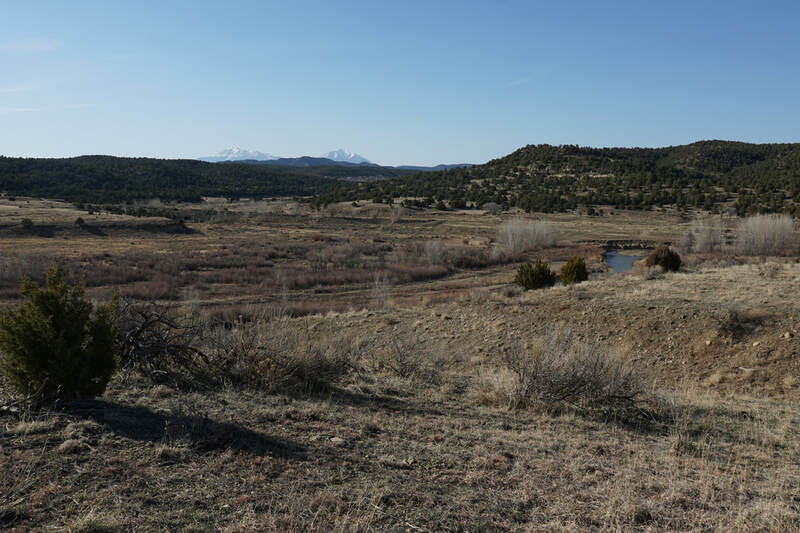 Once you return to the main trail, retrace your steps along the dirt road back to the Front Range Trailhead. 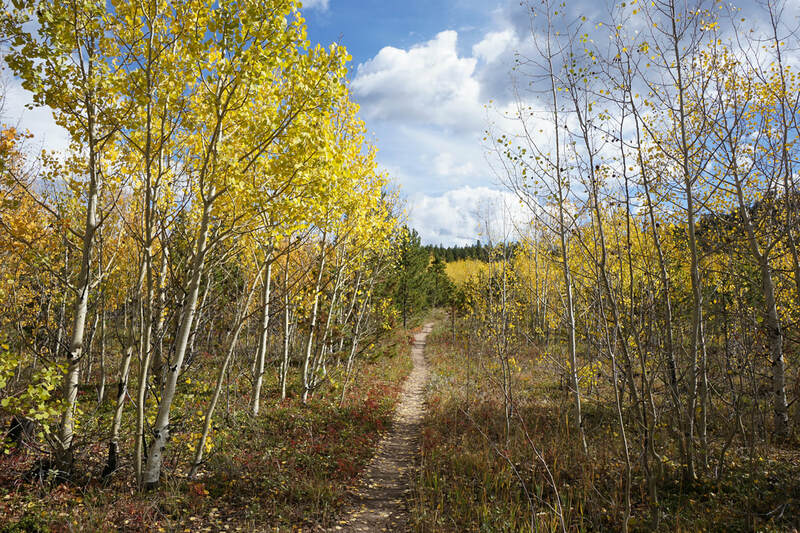 This trail system is a wonderful out-of-the-way spot perfect for a peaceful fall hike. However, you do need to keep track of where you are as there are no signs to help you along the way.